Distribution of content between HP Prime Graphing Calculator with wireless module and PC with antenna. Formative assessment via quizzes or polls. Student requests can be submitted. Note: By design, no distribution of content between calculator and calculator over wireless. Transferring of data between calculators can only be done by connecting the two calculators with a unit-to-unit cable. 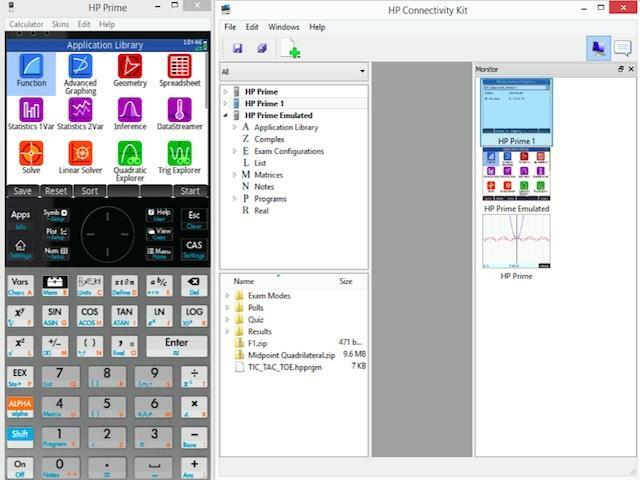 Install the HP Connectivity Kit software and plug in the antenna to the teacher PC and connect a wireless module to the USB port of up to 30 HP Prime Graphing Calculators to enable communication between each calculator and the PC. 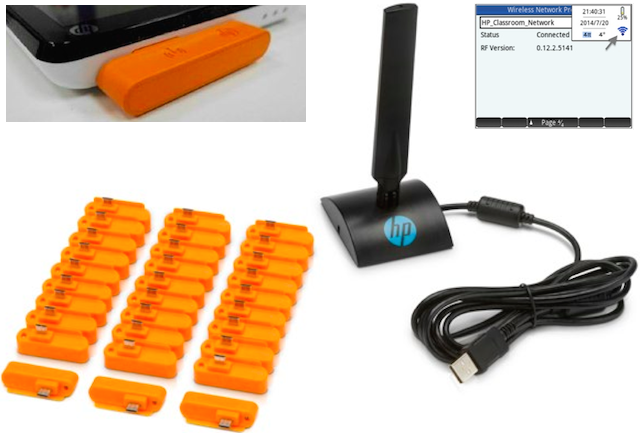 HP Prime Wireless Kit can improve classroom interactivity and make learning easier. The HP Prime Wireless Kit allows teachers to remotely push and pull content (programs, exam configurations, and data sets ) between the teacher PC and HP Prime Graphing Calculators in a single classroom. View from the Teacher's PC of an individual student calculator screens or the entire class. To monitor the activity of all connected calculators, click the Windows menu and select Monitor, or click the Monitor icon on the right side of the icon bar. The Monitor window will open, showing the screens of all connected calculators. To refresh the screens, right-click in the editor pane and select Refresh. 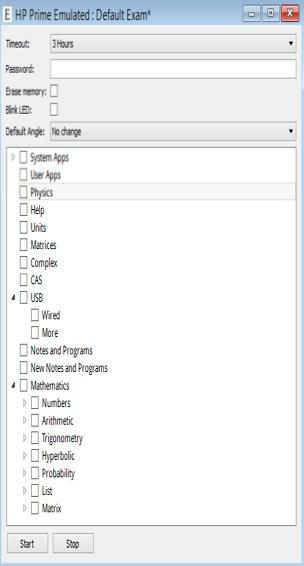 To automatically refresh the student displays every few seconds, right-click in the Monitor window and select Automatic Refresh. You can deselect automatic refresh using the same steps. An exam-mode configuration allows you to temporarily disable features and commands on your students' HP Prime calculators for testing purposes. You can use Connectivity Kit to start or stop an exam-mode configuration on one or more HP Prime calculators. To send an exam-mode configuration without activating it, select the exam-mode configuration from the content pane and then follow the instructions in "Distributing HP Prime content". You can also send an exam-mode configuration from one calculator to another. Select the exam-mode configuration on one calculator and drag it to the other calculator. In either case, the exam-mode configuration can then be activated on the HP Prime calculator by going to the third page of Home Settings and tapping Start. See how HP Prime can be implemented in a typical classroom environment.